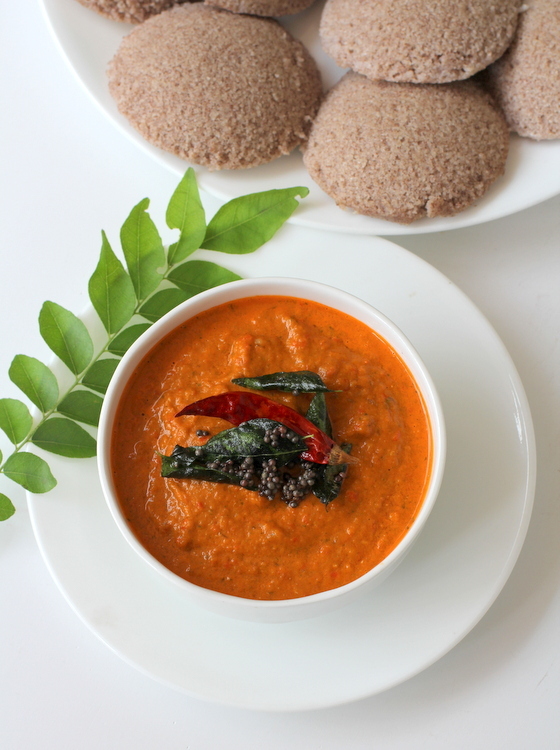 I know many of you are looking forward to today’s chutney recipe that I served with Ragi Idli. I simply adore red bell peppers and tomatoes and when combined they are absolutely irresistible both in terms of looks and flavor. 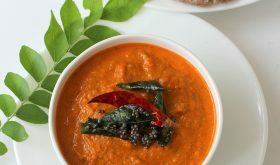 If a simple every day recipe can be turned into a something exotic and impressive then it has to be Red bell pepper tomato chutney. Its colorful looks with reddish orange hues and a flavor which is unmatched, this chutney is sunshine on your plate. 🙂 Red bell pepper tomato chutney is versatile and can also be used as a dip or spread. 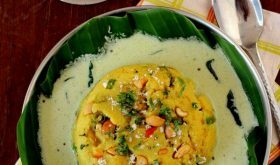 A must try chutney that is a gem among South Indian vegetarian recipes! Heat 1 1/2 tsps of oil in a vessel. Once the oil is hot, reduce flame, add chana dal, cumin and red chilies and saute till the dal turns light brown. Add green chilies and coriander leaves and saute for 2 mts. Remove the contents from the vessel and keep aside to cool. In the same vessel, add a tbsp of oil, add the red bell pepper pieces and saute for 6 mts. Add the tomatoes and saute for 9-10 mts on low to medium flame. Turn off heat and cool. Blend the dal-red chilies mixture till coarse. Then add the cooled ingredients (tomatoes and red bell peppers) along with salt and grind to a fine paste. Remove into a serving bowl. 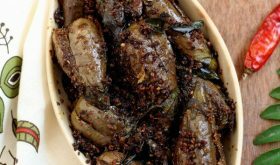 Heat a tsp of oil in a small pan, add the mustard seeds and allow them to splutter. 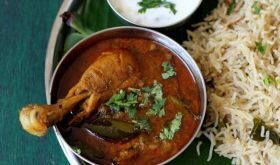 Add the curry leaves, red chilies and asafoetida and turn off heat. 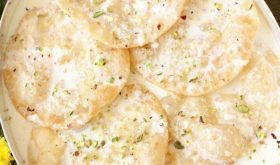 Pour this tempering over the chutney and serve with idli or dosa. By Sailu Published: April 5, 2013 Red Bell Pepper Tomato chutney is an easy to make pachadi. A gem among South Indian vegetarian recipes, it works well as a dip or spread over sandwiches. That is such a great chutney and spread @ the same time. Love it. Please do send it to my “Healthy Me & Healthy Us” event (read the rules). 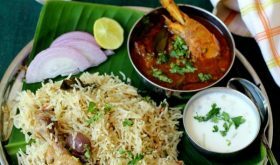 The Ragi Idli link is going to Error 404 – Not Found page due to the /:/ in the url. Thanks for informing me. The link is working now. Not able to see the Ragi idli recipe yet! tried this recipe, it was yummmmmmmmy. thank you so much for sharing. never thought of using red bell peppers to make a chutney, very creative sailu. The New way to make different Tomato Chutney with red bell paper, i always found something new on this blog, like it.